How Do We Label The Future? 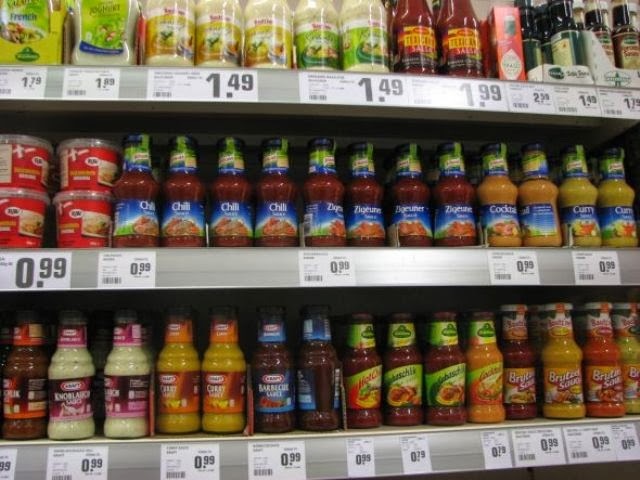 Like Finat the national associations also have a focus on increasing the visibility of self-adhesive labelling in two major, key end-user market sectors: food and beverage labelling, where wet-glue labelling still holds the majority share. Working together, our strong base of mutual-interest associations can provide a sound launchpad for the development of profitable, successful, business across all market segments – and the industry has already seen the emergence of strong global players. ExxonMobil Chemical will introduce three new Label-Lyteoriented polypropylene (OPP) films for labeling applications at Label ExpoEurope, Brussels Expo, Belgium, September 24-27. Designed to address market trends and key customer requirements for performance and cost, these technologies will be on display for the first time. Also on display will be five films that are new to Europe which, after being launched at LabelExpo Americas last year, are experiencing strong customer interest. White, 52 micron Label-Lyte 52LLC247 film delivers outstanding conformability and flexibility for PSL applications. This, combined with high-quality label appearance,may permit brand owners to better differentiate their products in a wide range of market segments including health & beauty care, personal care, beverages, containered foods, household and detergent products and automotive products. Label-Lyte 52LLC247 film provides a bright-white, high-impact prime label and/or back label for semi-squeeze applications. When used with clear conformable Label-Lyte 52LLC210 facestock, branding stands out on retail shelves and product information, such as ingredients and nutrition facts, are easy to read. The engineered functionality of this lightweight, robust film may help to efficiently and cost-effectively increase converting output. Excellent converting characteristics could reduce reworking of labeled containers and manufacturing scrap overall. Solid white, 58 micron Label-Lyte 58SW247 film delivershigh yield and consistent qualityfor pressure sensitive label (PSL) applications. These applicationsinclude health & beauty care, home care, beverages and industrial applicationsthat require high-quality appearance and high-speed performance. Due to its proprietary technology, this new lightweight film can provide yield advantagesof approximately five percent compared to competitive solid white films currently available. Label-Lyte 58SW247 film can easily be coated by roll stock laminators and converted with stable performanceat high speed. For brand owners and retailers, the film’s striking, solid white appearance with consistent opacityproduces eye catching graphics for enhanced brand promotion. Label-Lyte 29LL410 film may facilitate fast, high-quality reel-fed labeling across a range of print technologies. It is well-suited for rotary UV printing, helping deliver cost-effective, fast turn-around of print runs. It is an uncoated, transparent coextruded film which is slip-controlled on the untreated surface. This should facilitate robust machinability and stable performance on all roll-fed labeling equipment. Slip properties of the reverse-printed side are effectively managed by converter-applied, low coefficient of friction (COF) lacquer or varnish. The treated surface also provides excellent hot melt anchorage. This downgauged 29 micron film may reducelabel weight and cost while delivering high-quality labels for a range of reel-fed, wrap-around labeling applications including mineral water, carbonated soft drinks, juices and tea. Its broad printing capability, combined with outstanding gloss and transparency, delivers excellent shelf appeal. Shrink sleeve Label-Lyte 50TD200 low density film facilitates flotation separation of the label from bottles in support of PET bottle-to-bottle recycling (where available). Clear, lightweight oriented polyolefin Label-Lyte 52LLC210 film offers conformability and flexibility, and excellent converting characteristicsfor PSL applications. Thermal transfer Label-Lyte 65LT500 film can help deliver high yield and wide-ranging print and adhesive performance. Surface-printable Label-Lyte 50ML580 film delivers a consistent and attractive metallic appearance and high-speed press performance. Clear, two-side-coated Label-Lyte 40LL539 film allows downgauging opportunities for lighter weight labels with a “no-label” look. The buzzword in all sectors today is integration. 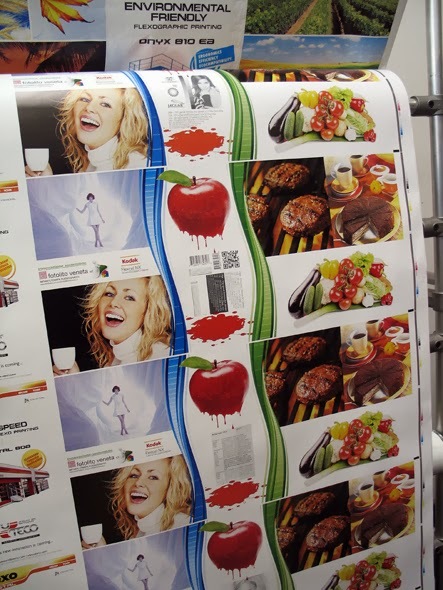 The Uteco Group's integrated solution allows flexo printing to be united with digital printing. The result is an innovative system that expands the print possibilities offered by this dynamic combination of the two technologies. 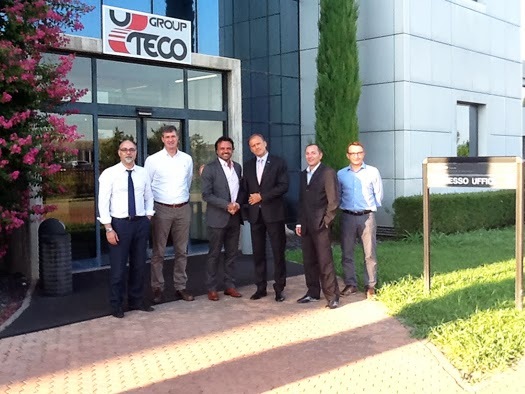 The Uteco Group, based in Colognola ai Colli (VR), Italy, is a leading manufacturer of printing presses for a wide range of flexible packaging. It is installing two Kodak Prosper S20 Imprinting Systems, one black and one color, on an 8-color Uteco Onyx 810 flexo printing system. Leonardo Gobbi, Commercial and Marketing Director of The Uteco Group, explains that “the consumer goods market, both food and non-food, has for many years now demanded a number of functions from packaging which go well beyond the original function of preserving the product, and is increasingly driving packaging towards the realm of marketing and communication. 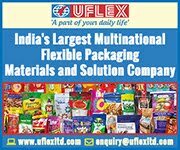 The printing of materials for packaging plays an essential part in this. The benefits of hybrid printing merge the flexibility and high productivity of flexographic printing with the unique capacity of digital printing to manage the variable data which customizes each individual print job and each individual packaging application. This is the direction taken in the integration efforts between The Uteco Group and Kodak: to be able to offer producers of printed packaging all the advantages of this integration between different technologies in order to achieve extremely innovative, customized and communicative printing”. The S20 is a member of the Kodak Prosper S-Series Imprinting Systems, which include S5, S10 and S30 models. They all boast excellent print quality in overprinting jobs produced by other print processes, flexo in this case. 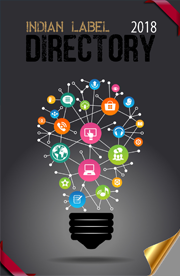 They offer various print speeds and resolutions, for a high degree of customization. The Kodak Prosper S-Series Imprinting Systems are easily integrated into existing production processes, allowing new advertising opportunities with highly targeted products and the creation of hybrid print applications: images, barcodes, lotteries, road maps and QR codes. These systems can help capitalize on investments made in offset presses and bridge the digital divide by adopting a one-step inline process. Erwin Busselot, Marketing Director Digital Printing Solutions, Kodak has this to say: “The Uteco Group integration opens up new opportunities for the packaging world in its quest for innovation and development. 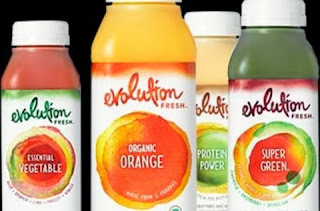 Both companies have worked to create a hybrid system that combines the best of flexo and digital printing technologies. This shared commitment will enable The Uteco Group's customers to produce applications on a variety of media such as paper labels, tissue and flexible film. These possibilities generate added value not only in terms of the printed product but also for the brand owner and print buyer, who can easily access promotions, customized vouchers and much more”. The two Kodak Prosper S20 Imprinting Systems print in black plus one color with a print speed of 600 mpm, fully in line with the production speed of Uteco's flexo printing machine. The Kodak Prosper S-Series Imprinting System prints at a resolution of 600x300 dpi, the print width is 10.56 cm. The heads use Kodak Stream Inkjet technology, which allows the printing of high quality and long-lasting images not only on both uncoated and coated paper, including glossy coated paper and also on flexible media and plastic film: a goal that was achieved by the Uteco Group integration. Stream Inkjet technology uses a continuous stream of ink which is supplied by the print head nozzles. This stream is broken into separate droplets which are in turn fired at high speed with a very high level of accuracy, to form high quality images. The heads are positioned after the flexo printing and can be moved along the width of the reel, depending on the point where the printing of data or images is required. Cost has always been the Achilles' heel in the printing of high volumes of variable data. But that is no longer the case: this exceptional integration between flexographic and digital printing provides a virtually infinite number of applications and customization possibilities in the packaging sector, where creativity will be the only limit. Kodak has transformed into a technology company focused on imaging for business. Kodak serves customers with disruptive technologies and breakthrough solutions for the product goods packaging, graphic communications and functional printing industries. 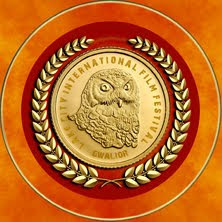 The company also offers leading products and services in Entertainment Imaging and Commercial Films. As market transitions to digital solutions, manufacturers of digital printing equipment are looking for digital front-end (DFE) alternatives that can effectively address workflow and job processing issues specific to the labeling industry. Esko's DFE is the preferred solution to streamline the prepress and workflow process for greater efficiency. HP Indigo for example has a long time, successful strategic partnership with Esko. Designed exclusively for HP Indigo by Esko, the HP SmartStream Labels and Packaging Print Servers provide customers the necessary job management tools to automate and simplify workflow as well as color controls that help deliver repeatable color. Esko is also part of Labelexpo's Inkjet Trail which gives attendees the opportunity to compare six leading inkjet technologies with manufacturers producing the same label, on the same substrates. Origination, color and die-cutter files for the different jobs are being prepared by Esko. Esko’s state of the art digital flexo imaging technology is considered the industry leading system for all brands of digital plates when it comes to high quality and consistency. 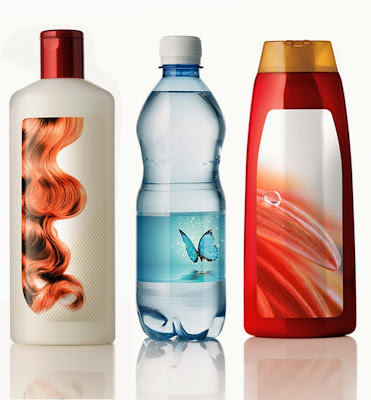 At Labelexpo, these solutions are also showcased with DuPont, Esko's long-standing plate and plate-processing partner. German leading supplier of die-cutting tools Wink who joined forces with Esko to deliver a staggered label solution, will present the combined solution on its booth. Nilpeter and Mark Andy will be showcasing jobs imaged with Esko HD Flexo plates. Together with HP Indigo, Barco and Sharp Iris, Esko Studio Designer will be featured in an immersive, highly detailed virtual 3D store on the HP Indigo stand. 3D glasses will make the whole experience even more realistic. This virtual store will demonstrate how 3D imaging helps packaging professionals see how their product will look like in a real store next to the competition, without creating physical mockups. Esko Color Engine, the central color database to manage color and device profiles, is the enabling technology to support the PantoneLIVE™ color management process across the prepress packaging workflow. Labelexpo visitors can see this combination of breakthrough color workflow in the packaging supply chain at X-Rite. At Codimag, printers will have to opportunity to verify the Aniflo predictability, stability and capacity to mach a color proof without adjustment - supported by Esko Equinox and WebCenter. At the HP Indigo stand, Esko will give presentations on the "Magic of Colour", daily in the HP Indigo Theatre. Esko design, prepress and workflow software can be integrated with many industry leading MIS / ERP solutions to improve productivity of the complete label production process. At Labelexpo, Esko’s relationship with JDF automation expert CERM can be seen in CERM’s stand. In addition, Esko has integrated the online editing technology of CHILI Publish into its WebCenter platform, enabling users to open packaging designs in WebCenter to create, edit and modify packaging content. A last example of Esko's industry engagement and extensive partnerships are the sample mineral water bottles the company will hand out during the show. These have been created in cooperation with film supplier Klockner Pentaplast, Flint for plates and inks, Nilpeter for printing and Standford sleeve converting - Esko handled the design and HD Flexo plates. “The tag and label industry is growing rapidly, and that growth is clearly on display at Labelexpo Europe. Esko keeps pace with that growth by complementing our solutions with the expertise of other best-in-class companies. 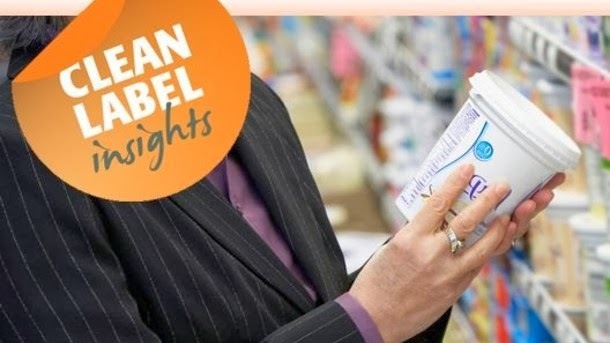 The result of those partnerships are truly integrated solutions that enable label and tag producers to be successful in this rapidly changing marketplace,” concludes Knudsen. The civic top brass and police have busted a fake birth-certificate racket that operated from the Kolkata Municipal Corporation (KMC) headquarters and had networks in all the borough and ward offices. The gang had been operating for several years and it took a six-month-long investigation by the civic body to identify the key players, who include some KMC health department employees. 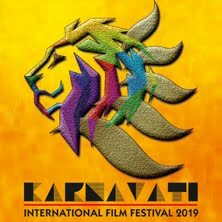 Ashit Saraswati, a KMC health department bailiff, was arrested 10 days ago after a woman complained to the police that he had taken money from her for a birth certificate but gave her a fake one. Though Saraswati is posted in Behala, he used to visit the civic head quarters at S N Banerjee Road frequently. He was earlier arrested a few months ago for issuing a certificate with an invalid KMC logo, but was released as the complainant withdrew the FIR. That's not all. The police have found that a section of civic employees, with the help of the touts, has been regularly forging documents and even the signature of a metropolitan magistrate to sell birth certificates at high rates. "Depending on the urgency of the applicant, who approaches a tout because he does not have valid documents or to avoid harassment, a birth certificate can be sold for anything between Rs 2,000 and 5,000," said a KMC official. A recent raid by a civic team at a tout's hideout took the officials by surprise. "We have found among other documents fake copies of orders issued in the name of a city metropolitan magistrate. The touts have forged the signature of the magistrate concerned," said Debasis Sen, the special officer of the KMC health department. Visitors to the Open House will experience first-hand the benefits of Vistamaxx propylene-based elastomer (PBE) in raffia packaging applications which can include high bond strength and sealing at low temperatures. Also, the elongation property of Vistamaxx PBE allows polypropylene (PP) raffia tapes to be extruded at higher stretch ratios, yielding higher tenacity and less tape breakage during extrusion and weaving. 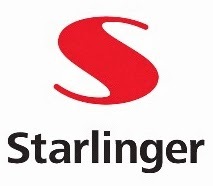 Furthermore, Starlinger's innovative range of turnkey machinery solutions will be presented at the Open House. “This is an excellent example of how the synergistic benefits of combining ExxonMobil Chemical’s industry-leading polymers with the very latest machine technology can deliver outstanding performance,” said Philippe Hardy, market development manager Vistamaxx PBE, ExxonMobil Chemical. Register (http://www.exxonmobilchemical.com/Chem-English-Micro/k-show/starlinger.aspx) for the Open House, which will take place from 16-18th and 21-25th October. Loftware, Inc., the global leader in Enterprise Labeling Solutions is proud to announce the fourth installment of the Loftware Delivers Program which focuses on Loftware’s relentless commitment to invest in its solutions and drive innovation. This installment takes viewers on a tour of Loftware’s dedication to provide Unsurpassed Solutions through video interviews with executives, analyst and customer quotes, as well as a behind the scenes glance of Loftware’s history of innovation. This follows last week’s installment “Loftware Delivers Unrivaled Services” which presented Loftware’s best practices, professional services, and training offerings. Underscoring Loftware’s dedication to provide 5,000 plus global customers with the industry’s best enterprise labeling solutions, is a focus on investing and continually improving its solutions. In the last three years, Loftware has increased its investment by an astounding 112% in the teams that drive solution innovation including software development, quality assurance, product management, and documentation. This ongoing investment directly translates into releases that offer exciting new capabilities and technologies while delivering on the quality, reliability and scalability that customers have come to expect from Loftware. Innovation is not a new concept to Loftware. As pioneers in the barcode labeling space, Loftware has a long history of innovation beginning with its founder, Andy Anderson, who developed and commercialized the industry’s first PC-based graphical barcode label designer in the mid-1980s. Since then, Loftware has introduced a long line of industry firsts such as the first Windows-based label design and print solution, the first labeling solution fully integrated with Oracle and SAP applications, and the first browser based solution designed for suppliers and partners to print labels via the Internet. Loftware is not stopping there. They continue to focus on innovation by listening to and collaborating with customers to understand their pressing business drivers and to deliver solutions capabilities that are critical for their success. Look for the next installment of Loftware Delivers on October 8th and learn more about Loftware’s plans for Unleashed Innovation to meet the next generation demands for enterprise labeling. Loftware, Inc. is the global market leader in Enterprise Labeling Solutions with more than 5,000 customers in over 100 countries. Offering the industry’s most comprehensive labeling solution, Loftware’s enterprise software integrates SAP, Oracle and other enterprise applications to produce mission-critical barcode labels, documents, and RFID Smart tags across the supply chain. Loftware’s design, native print, and built-in business rules functionality drives top line revenue, increases customer satisfaction, and maximizes supply chain efficiency for customers. With over 25 years of industry leadership, Loftware’s enterprise labeling solutions and best practices enable leading companies to meet their customer-specific and regulatory requirements with unprecedented speed and agility.